What can you really say about a cookbook? 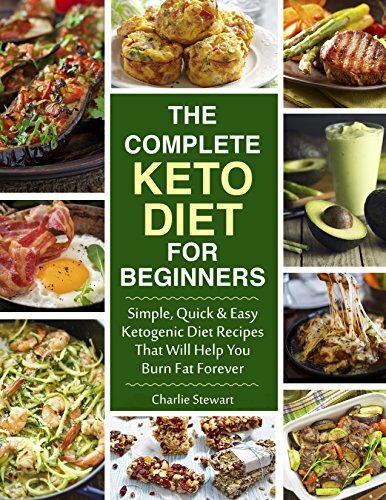 This one is chocked full of interesting recipes that all happen to be Keto compliant. It's really fun because it goes in culinary directions that you might never think of going while trying to live a Keto lifestyle. It's not boring sounding "diet food" it's all sorts of inventive alternatives and treats that aren't too complicated for the average person to make. I gave this book 4 stars because there are some places that more detail would've been helpful. Numerous occasions there is no information regarding what temperatures to use. In a couple of the dessert recipes it just says use "sweetener" which is confusing since other recipes use various options. But these are far from catastrophic omissions. The book is still fun with all the ideas it will plant in your head for anything you might want to eat during the day: breakfast, snacks, meals, and even desserts. Very good! I voluntarily read a free copy of this cookbook in exchange for an honest review. ARC.